While I realise I’m a bit late to the party on this, I thought I’d finally get round to putting some of my thoughts down on the new space marines coming in the new box set for Warhammer 40k 8th Edition. We’ve had the images doing the rounds for a number of weeks now, of course, with a bit of the lore coming out that talks about their backstory in the new edition. Understandably, people seem to be losing it over all of this, with the prevailing thought being that these kits will be replacing the current range of marines at some later date, although currently GW are denying it. I’ve been going back and forth over whether I actually like the look of these chaps. When they first landed, I think I got caught up in the thrill of the new, but that quickly seemed to wane and I felt a bit sad to see the loss of the older models, which I actually really like! I don’t really have a huge number of marines finished of course, but even so! When the Deathwatch models came out last year, the new MkVIII armour was somewhat larger than we’d previously seen, and I quickly came to love these guys. I’ve since been feeling the same about these MkX armoured-guys as well. 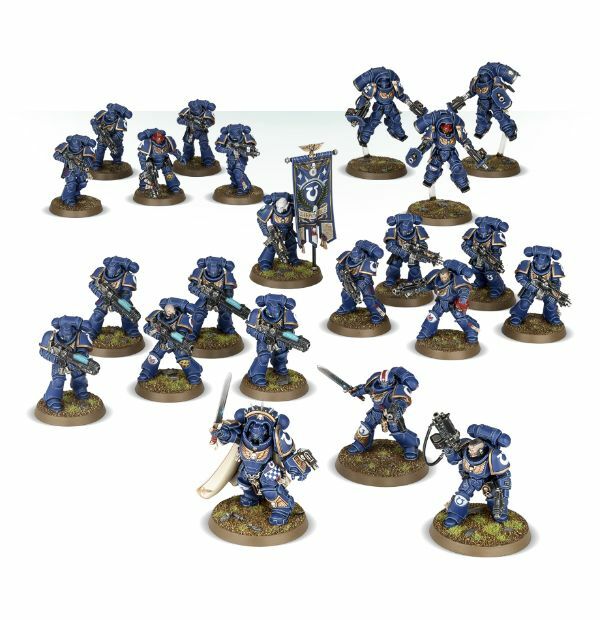 So I’ve pre-ordered the new Dark Imperium box, which will include fifteen of the regular marines, from the look of it, along with some HQs and those three flying guys. It looks like the perfect start to a Primaris army, and as we’re getting closer to the release weekend, I’m finding myself getting quite excited about trying something new. Which brings me on to the lore. Primaris Marines were the brainchild of Roboute Guilliman and the Tech Priest Belisarius Cawl, both of whom have recently had models as part of the Gathering Storm series. 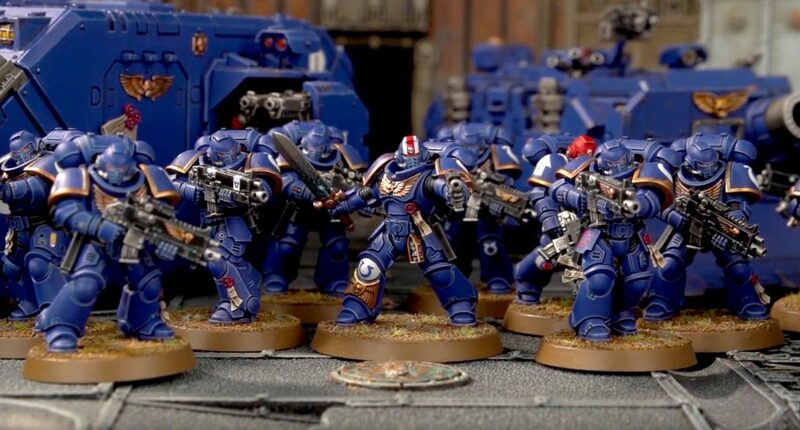 I’ve still not yet invested in these minis, but I’ve been considering making the leap soon enough as I like the idea in particular of having my Primaris Marines being led by Guilliman! During the height of the Heresy, Guilliman, seeing the flaws of his brothers in falling to Chaos, asked Cawl if he could work on improving the work of the Emperor and create a new breed of marine. Cawl returned to Mars to work on this, and Fulgrim attacked Guilliman, the Ultramarine Primarch being kept in stasis at the point of death for the next 10,000 years. During the Gathering Storm, Cawl finally emerged into the galaxy again and, with the help of the Eldar technology, ‘saved’ Guilliman by interring him in the Armour of Fate. And thus, Guilliman saw the state of the Imperium and finally unleashed his centuries-old plan to save his father’s work from the depredations of Chaos: the Ultima Founding! A lot of folks have been decrying the fact that Belisarius Cawl was able to improve on the Emperor’s design of the space marines. Why? I have no idea. It took the Emperor a number of years, and apparently a pact with Chaos, to gain the gene technology to create the Primarchs, after which he created the Adeptus Custodes and, finally, the mass-produced space marines. 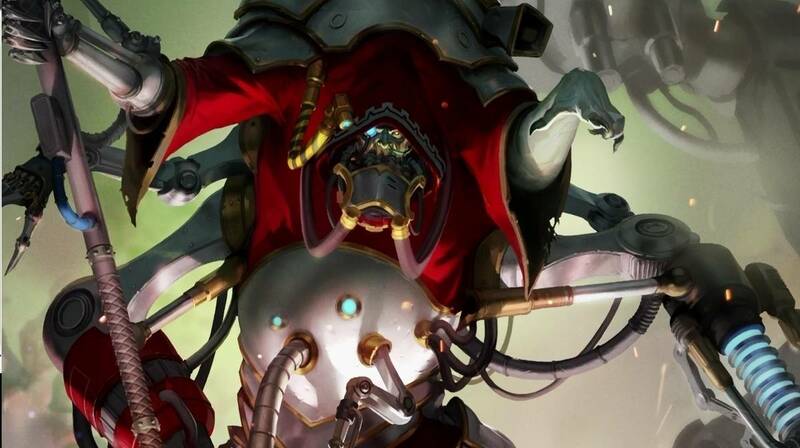 It then took Belisarius Cawl, who is a pretty important Tech Priest remember, ten thousand years to make some small improvements upon the mass-produced – some may even say, the lesser – marines. It’s not like Cawl has made more Primarchs, after all. The new marines have been deployed across the Imperium in new Chapters as well as bolstering the dwindling ranks of the other Loyalists. Of course, this sounds like more of a marketing ploy than anything else, giving existing marine players the perfect reason to add some of these to their existing army, or to start a new collection. But within the lore, the whole thing makes perfect sense! Pingback: There is only war! Next Next post: Announcement Day! #amazing!